Be consistent. Spacing, layout and structure should all be formatted similarly throughout your entire CV so that it does not differ between sections, ensuring you use the same font. Make sure the CV matches the job you are applying for. 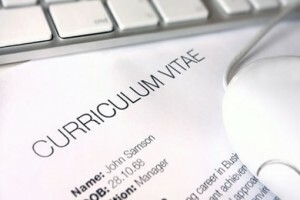 Tailoring your CV for each occasion that you use it helps present you in the best possible light for the differing roles. For example, you can put more relevant experience near the front, and include information that demonstrates you hit the person specification. Ensure your CV is in date. It is recommended that your CV is less than three months old. Provide information on each post your have held. A brief summary of each role will be useful to employers to help analyse your skills. Match your dates. There should be no gaps in your career history, and if there are, then they need to be accounted for. Make sure you succinctly explain and match up all of your dates correctly before submitting your CV. Make it accessible. If you are printing hard copies, use plain white paper. If you are emailing your CV, make sure the file can be opened easily on any computer. Check your spelling and grammar. Attention to detail starts with your CV, so skip making mistakes on the basic stuff if you want to impress. Be concise and relevant. Yes you need to include a lot of information, but don’t go overboard on waffle. Waste space. Cover sheets, content pages and indexes detract from all the important information you are trying to impart and take the reader’s attention away from the skills and experience you are trying to highlight. Use solid blocks of text. Chunky paragraphs can look daunting to the time starved employers, so use quick fire bullet points instead to make your achievement jump off the page. Fabricate or embellish your information. 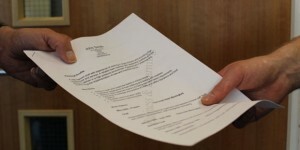 Lying on your CV will land you in serious trouble so avoid fake flourishes to your facts. Assume. If you don’t put information on your CV, then the person reading it won’t know it. Don’t assume they will know about your degree or have knowledge about previous hospitals you may have worked at. Be bland. Avoid generic statements that don’t reflect your personality as these won’t engage the reader and will just be repetitive. Trust spell check. Always manually check your spellings as you may have typed a real word as a typo, so it therefore won’t be picked up by your computer’s spell checking system. Quality is better than quantity, so your CV should be between three and eight pages long, containing enough information to demonstrate you can perform the job you are applying for well. Double checking and proof reading your CV before sending it off is vital, and it may even be a good idea to get a colleague, relative or friend to give it the once over as well. You can even ask for help from a career’s advisor if you want more detailed feedback.